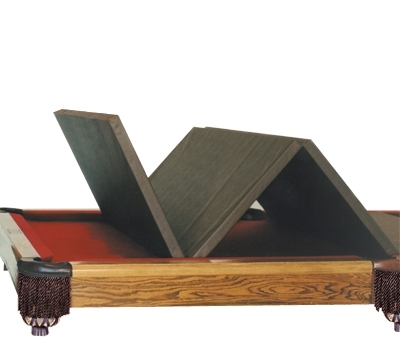 CC88 – Convertible Cover, 44" x 88"
The convertible conversion top is a vinyl clad foam insert that fits inside the cushions of your pool table, and combined with a vinyl cover (sold separately), the pool table becomes a dining table. The insert folds up for storage. Mildew, bacteria and ultra-violet resistant. Cover measures 44" x 88". To order the correct size of cover, measure the inside dimensions of the rails on your table, both width and length. Rush/Air delivery is not available for this item.